Best spots to see celebrities during Super Bowl week. 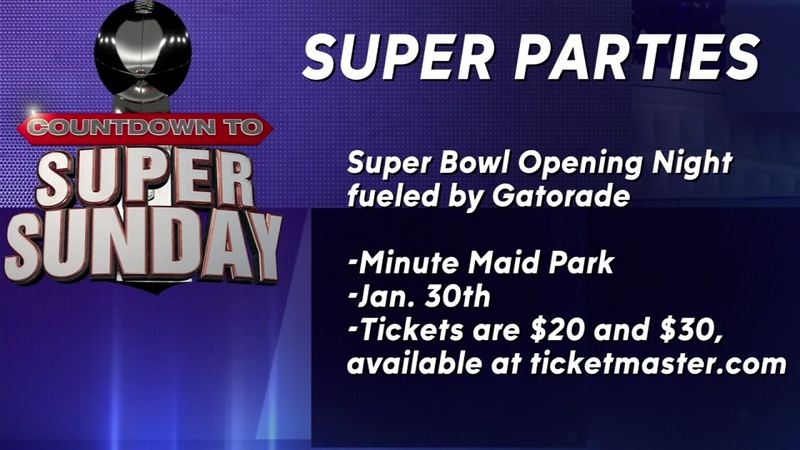 HOUSTON (KTRK) -- The Bayou City is going to be packed with A-listers for Super Bowl week, and if you're looking to play paparazzi, then you might want to make sure you are at the right place, at the right time. The Houston Galleria is very popular celebrity sighting location. Luxury brand stores attract the who's who in Hollywood and music. And Club Nomadic will be hosting singers like Taylor Swift and Bruno Mars, so you can expect a few sightings there. Downtown Houston is probably the easiest place to grab a celeb selfie. The George R. Brown Convention Center and Discovery Green are filled with Super Bowl events all week where famous people will be roaming around or working. Here are more top spots around town where you are most likely to see a celebrity and/or professional athlete. If you happen to snap a picture of a celebrity or professional athlete, share it with us. Email news@abc13.com. The Patriots players had lunch at Killen's BBQ in Pearland on Tuesday. An #abc13eyewitness took a photo with Terry Crews at the George R. Brown Convention Center. If you're looking for Adrian Peterson, you can find him at Frenchy's Chicken!